I woke up at around 7’o clock in the morning. It was misty with some raindrops in the morning. I looked out on the window, and the mountain still covered in thick cloud. 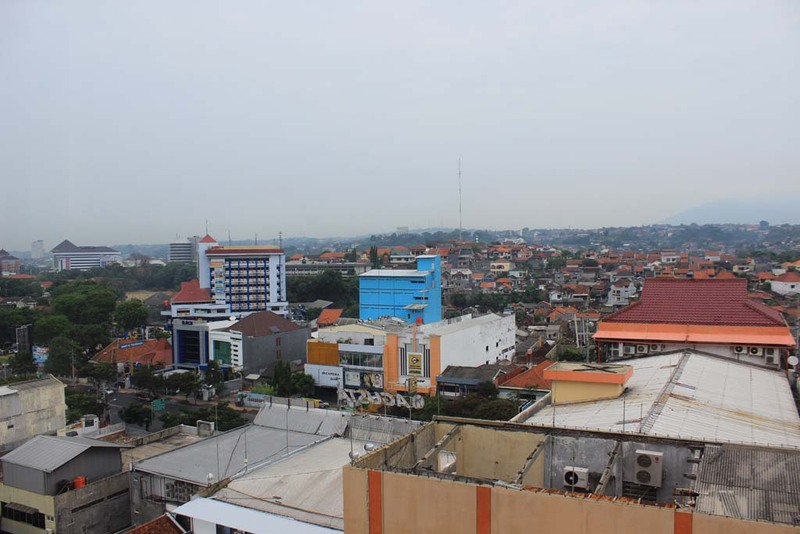 Semarang seemed to be partly showered this day, and I wonder if we can get a great outing today? 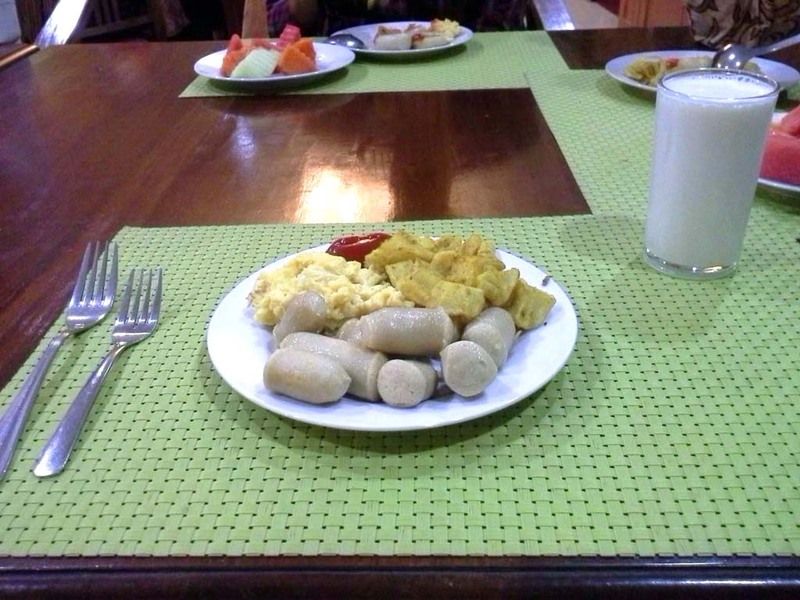 Once I finished the shower, I went to the hotel’s restaurant where everyone had already had their breakfast. 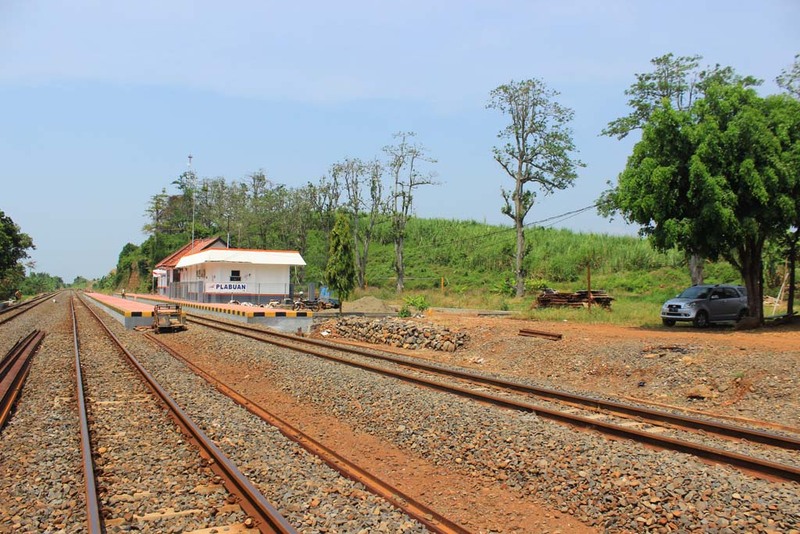 Unlike in Salatiga, where we had to rush to catch the Ambarawa train, this morning we are more relaxed as we have nothing to go after. 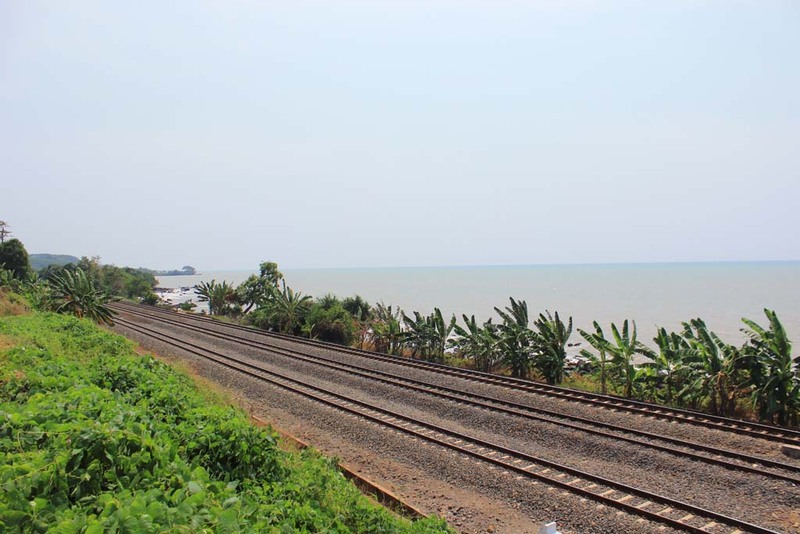 Our itinerary was just visiting Plabuan seaside railway station, before heading to Pemalang. 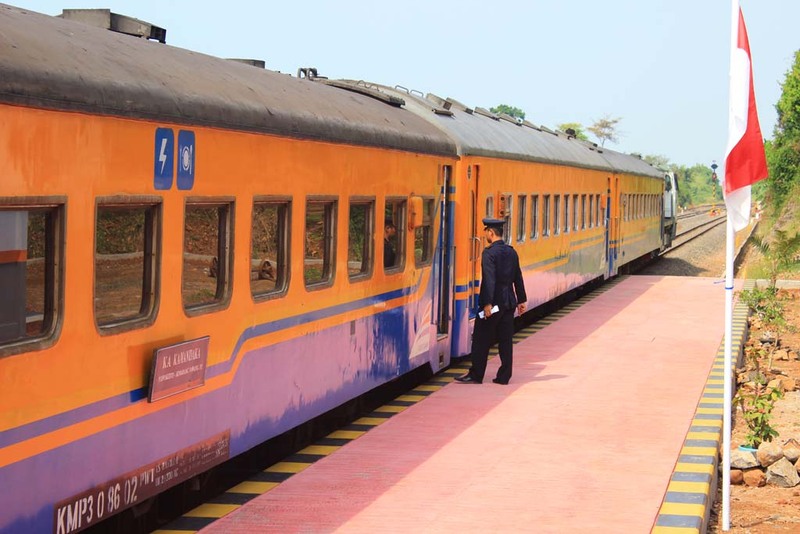 When Geoff asked about itinerary in June 2014, I offered him a trip to visit the station, which he gladly accepted. So that allowed us to have more breakfast variation. And since the buffet menu had many variations, I decided to take some that interested me. Such as chicken sausage omelet and curry stir fired potato. After we finished our breakfast, we returned back to our room to pack up our belongings and checked out from the hotel. Geoff asked me to drop by to Cepiring sugar mill, which is located along the way. 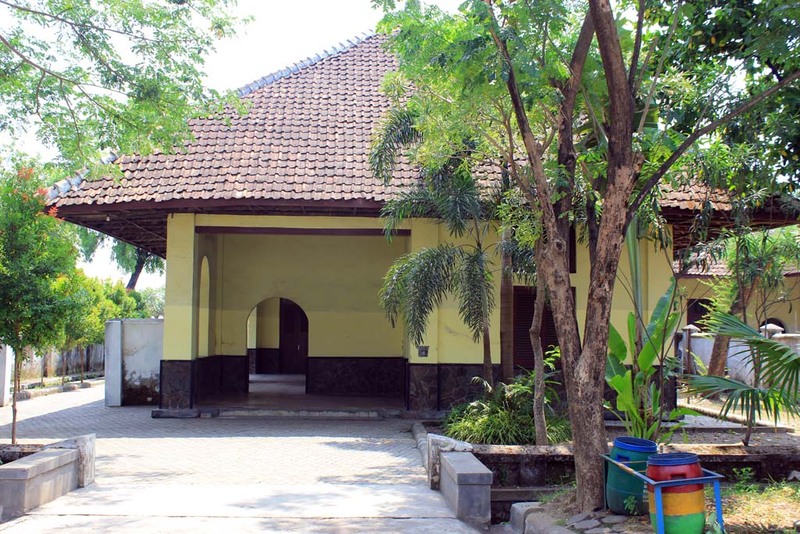 We had an easy and leisurely departure from our hotel in Semarang. 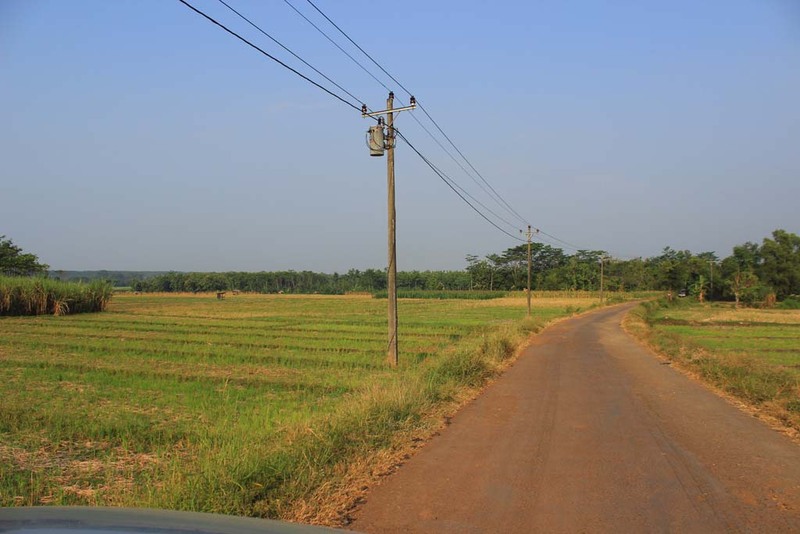 The traffic to the west of Semarang was rather crowded with occasional traffic jams. The worst was around Kendal, where some road maintenance really grinds the traffic to halt. Just as we were freed from the traffic jam, we caught the glimpse of Cepiring sugar mill. It’s quite tricky to get to the mill, but thankfully some of the mill’s security was generous enough to help me to cross the opposing traffic. As soon as we entered the compound, I went to the security booth to ask the permission. Although we were initially met with small resistance, the security directed us to the management office. Despite of the initial cold reception at the gate, we were surprisingly greeted with warmth welcome by management staff. One of the public relations staff, named Arthur, came and accompanies us to see around. 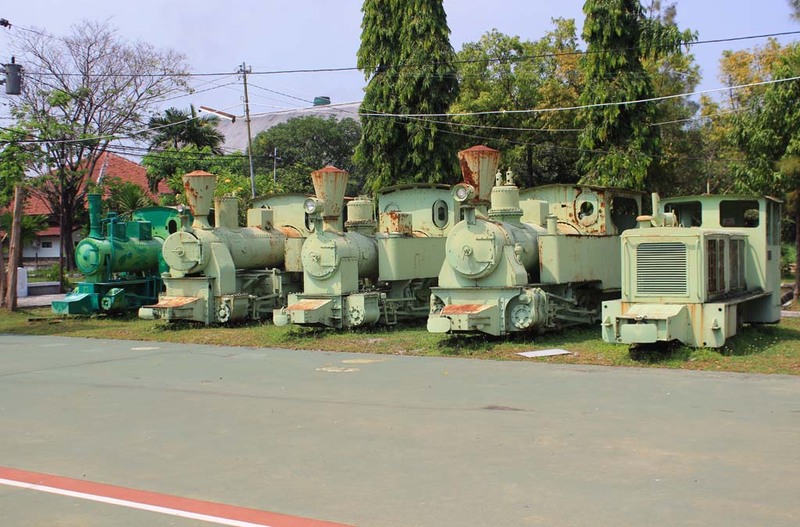 First, we were looking at the row of preserved locomotives in front of the management office. All of the 8 steam locomotives who used to serve Cepiring mill are now placed on rails in front lawn of the office. Some diesels are also there too. 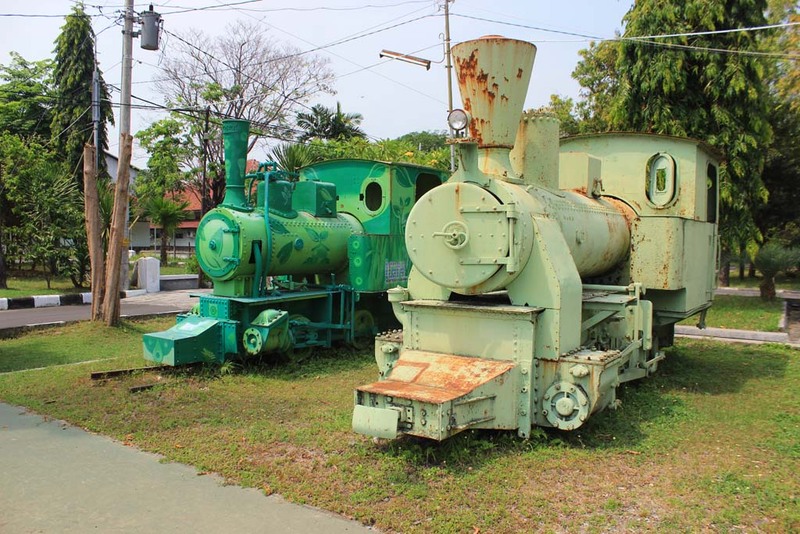 All of them are painted in light green color, except for one loco on the corner. Honestly, I feel so sad upon watching such sight. 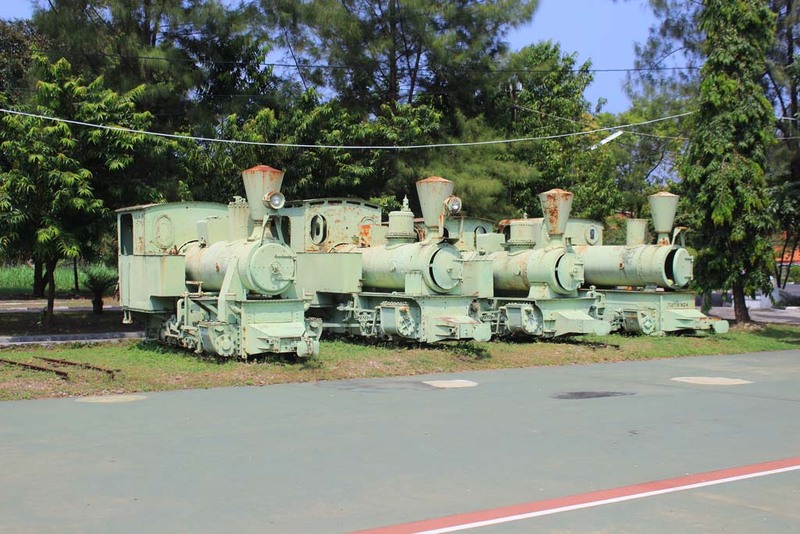 These locomotives should have been in working condition at the time when they were retired in late 1997, and should have been preserved in a more appropriate way rather than in this way. After we finished taking photograph of the steam locos, Arthur took us to the marshaling yard of the mill. 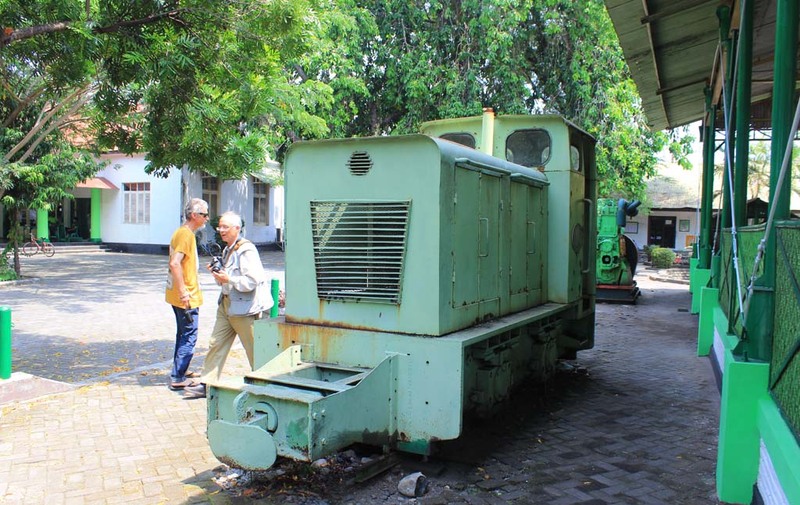 He showed us the only locomotive still in working condition at Cepiring. 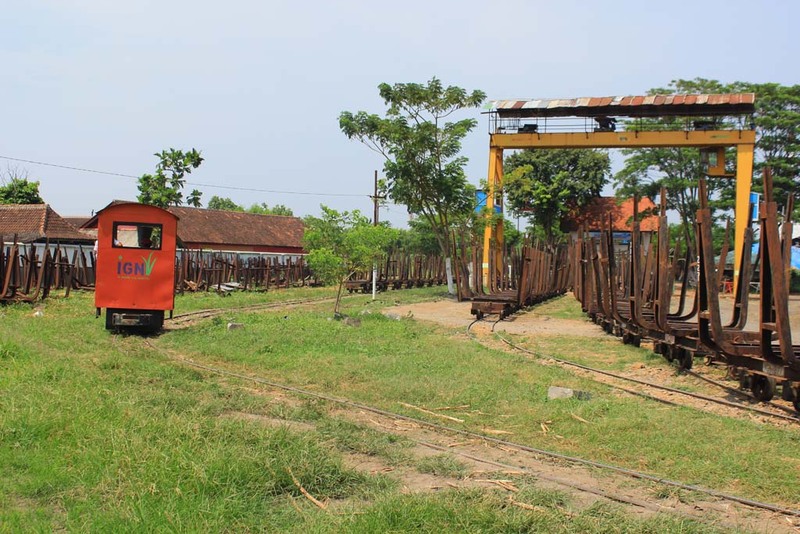 The loco is normally used to do shunting, where it would push the sugarcane wagons around the yard and into the mill. 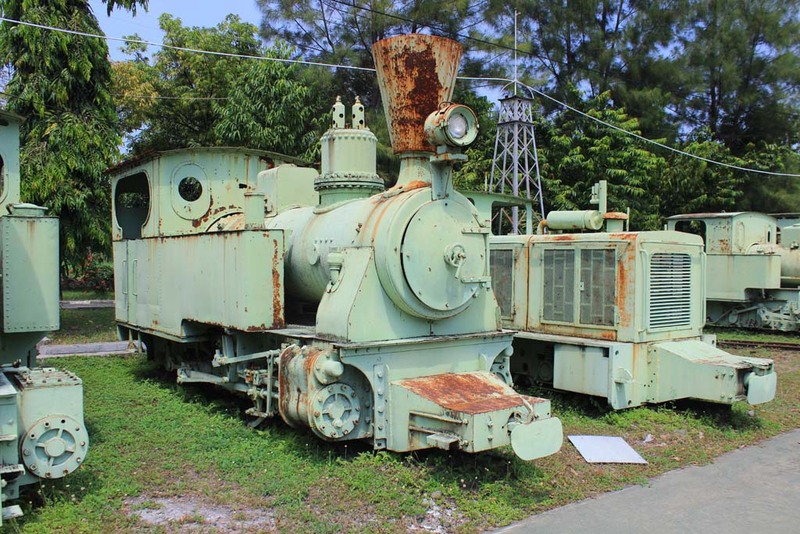 He said that this loco is a leftover of the glory days of narrow gauge trains in Cepiring. But I’m a bit puzzled. 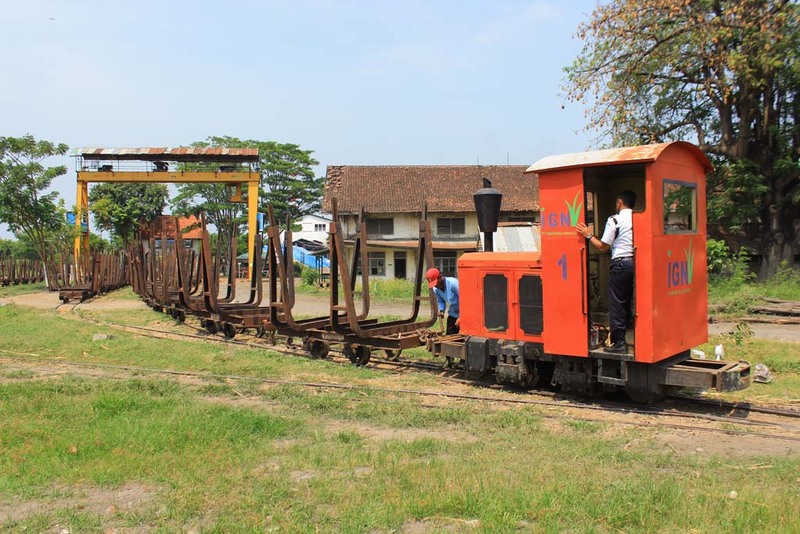 The size of the loco is around half of the normal size of normal narrow gauge loco. 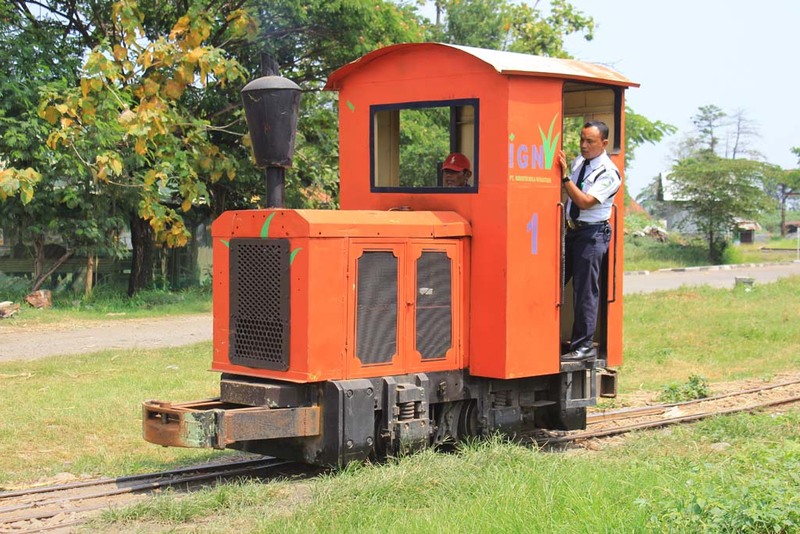 Some source said that it is a modified steam loco, but I have yet to accept the fact, considering the diminutive size of the locomotive. 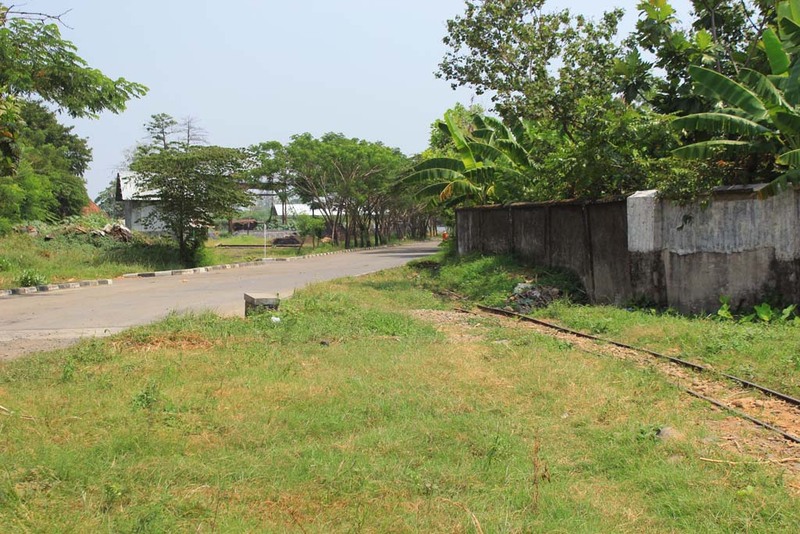 Just near where the locomotive was parked, there is the current terminus of the track. Up until 1997, the track went further beyond this point. 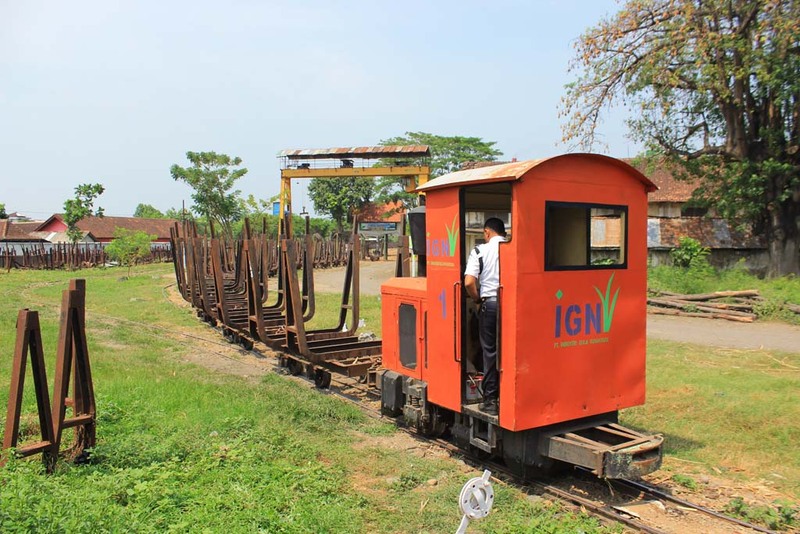 Serving the Cepiring’s sugarcane field, where the train would went into the field to pick up the sugarcane straight from farmers in the field, rather than from the truck like what they do now. 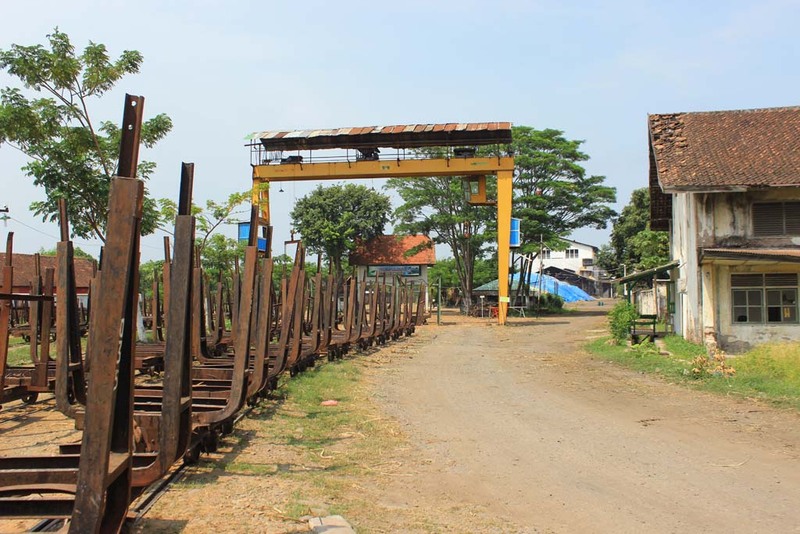 These days, the work of the locomotive would only just shunt the wagons around Cepiring’s small marshaling yard. The management (in this case represented by Arthur and one of the security staff) were generous enough to show us how the train operation looks like. 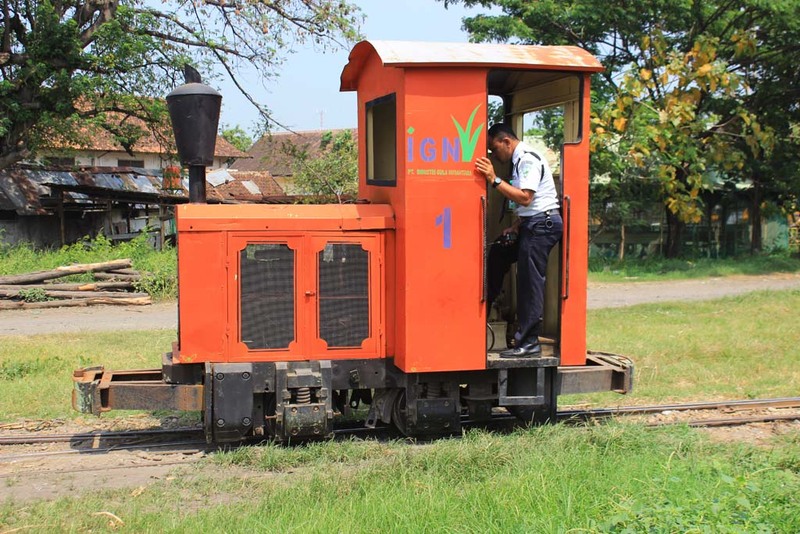 They asked the driver to start up its engine, and did some mock shunting work. They were even generous enough to let us to see the engine. It’s a small Diesel Kiki engine, a Japanese subsidiary of Bosch. Right after we finished watching the locomotive, they took us back to the management office. It seemed that we came before all the activities started. Along the way, I really marveled the old style houses that lining up the main road around the mill compound. They took us back to the management office, where they serve us drinks including bottled tea and soft drinks (quite a novelty considering that other mills would gave us mineral water, or sometime nothing!). We were really grateful with the treats that they gave to us, despite the fact that they charge us nothing! After we bade farewell to Arthur, we returned back to the carpark. 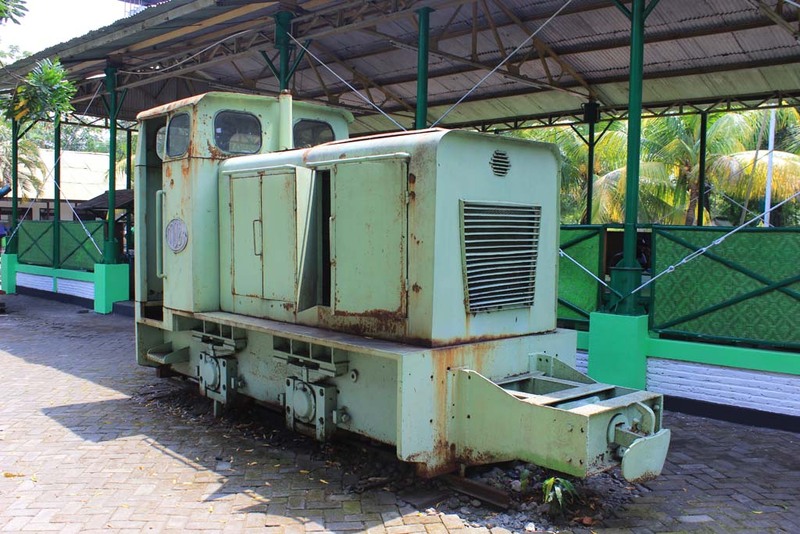 But when we crossed the employee canteen, we came across this diesel shunter which is preserved in similar fashion as other locos in Cepiring. 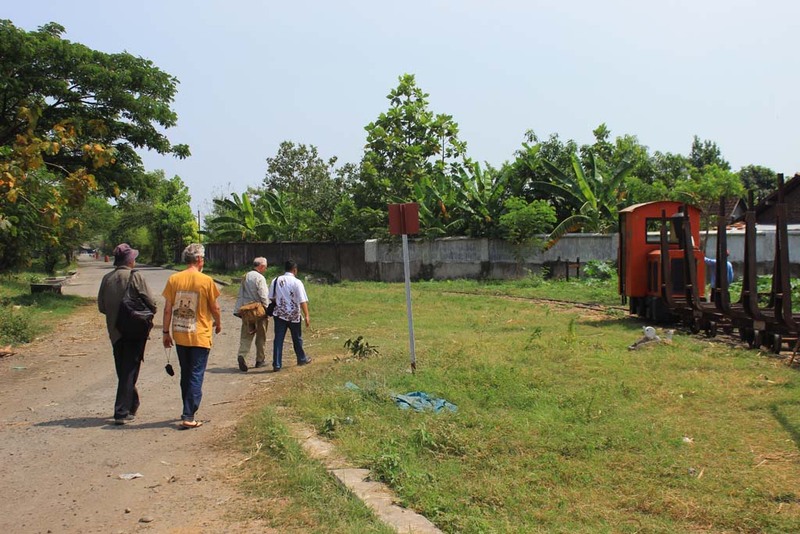 Once we boarded the car, we resumed our journey to Plabuan station. 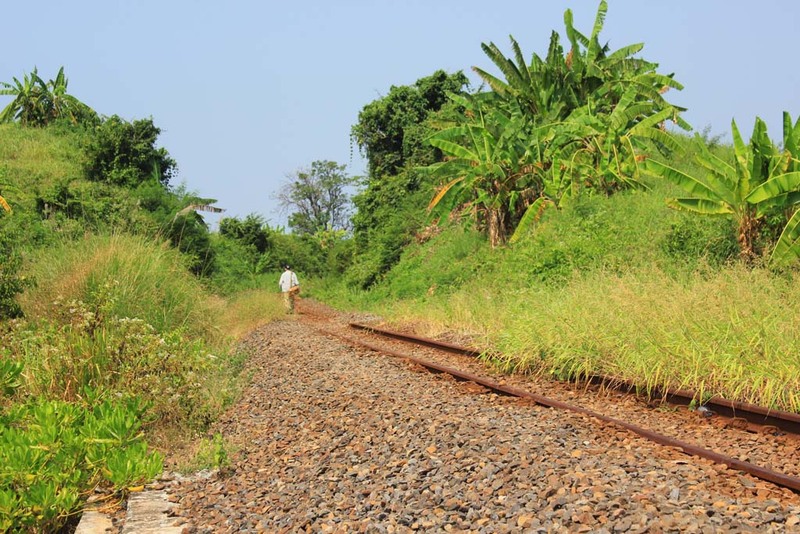 This is the first time I went to Plabuan station, which is said to be isolated, and its access road was said to be in poor condition. 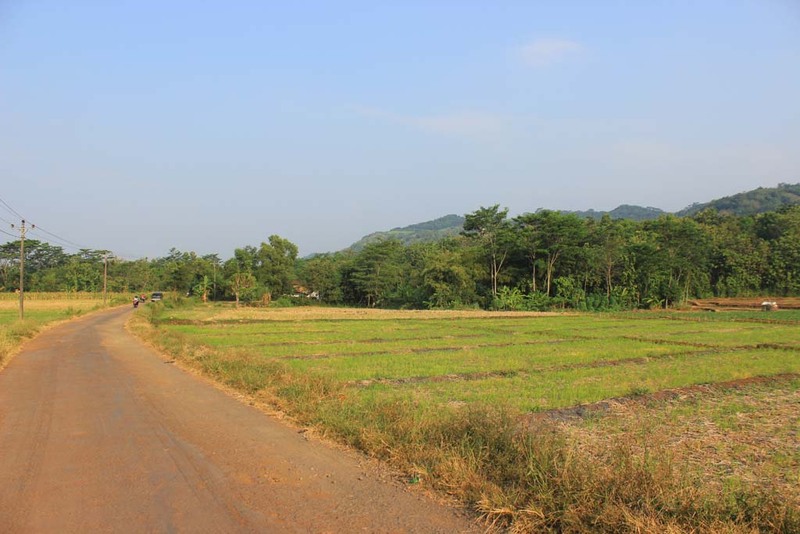 I looked around, and it turned out that the entrance road is located right underneath the famed “Alas Roban” hill pass. 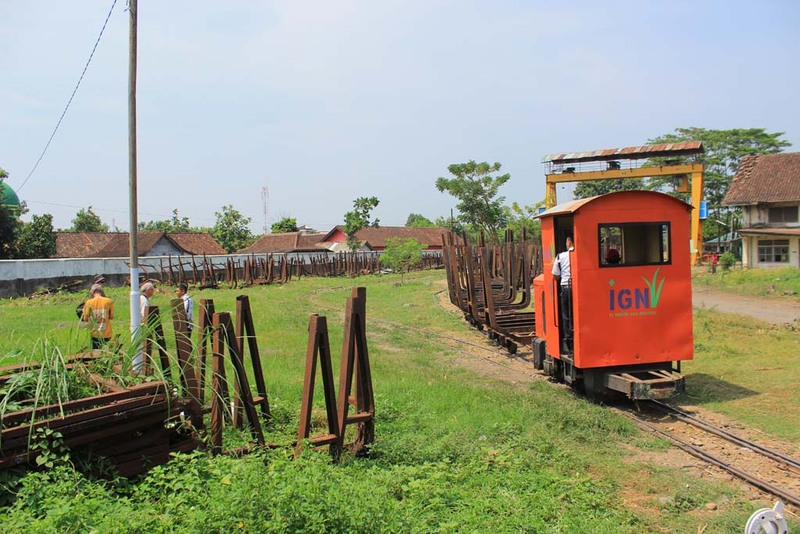 And just like the access way of some railway stations in West Java, the road is narrow, only wide enough for two small cars. And the distance from the main road turned out to be very long. I did also ask some local people, which thankfully they are all helpful. 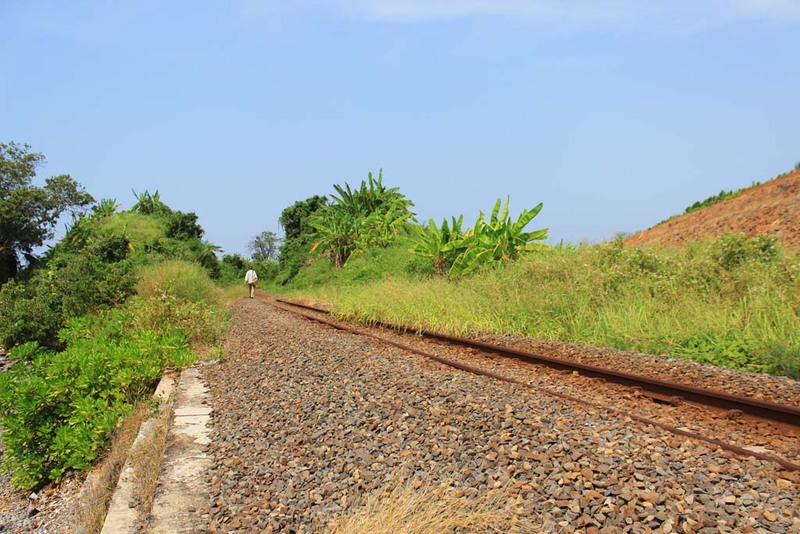 After winding through narrow lane that went across rice field, sugarcane field, and occasional rubber plantation, we finally catch the glimpse of railway track, and we finally arrived at Plabuan station. I haven’t even get near the station when, upon getting clear view of the track, we caught a glimpse of approaching train. 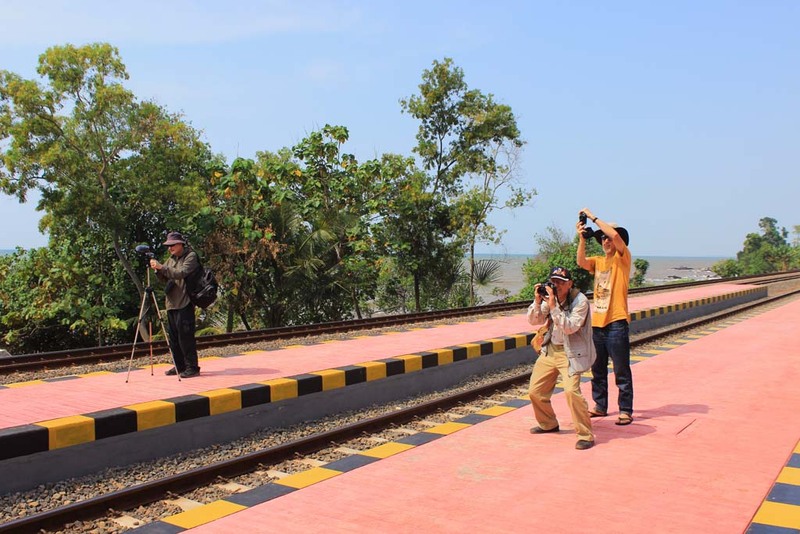 Everyone jumped out of the car to capture the image of Westbound Argo Bromo Anggrek express train from Surabaya! I parked my car under the tree near the station, so it would protect it from sunlight. From there, we start exploring the station. I greeted the station master and his crew, just to ask permission. They didn’t just happily allowing us to do trainspotting around station. They even ask for group photo. 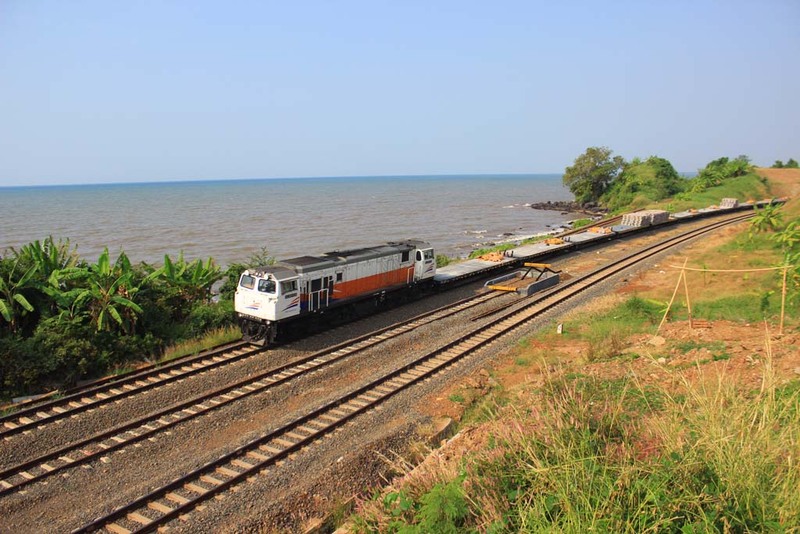 Perhaps, visits from foreign railfans are rare in this part of the world. 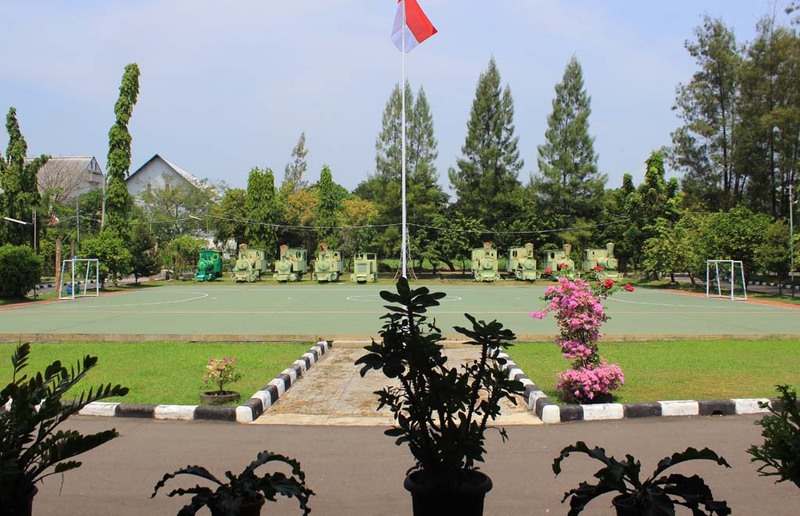 We tried to take picture from the opposite side of the station’s yard. 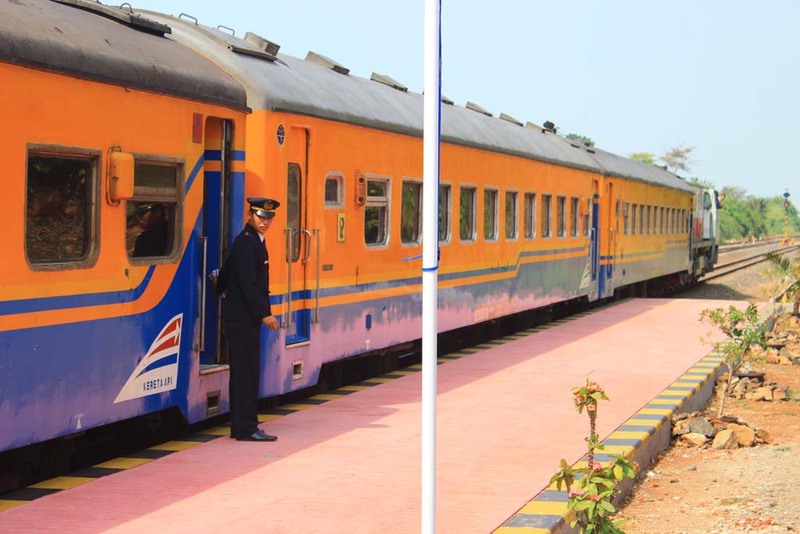 Apparently there is another train coming from Jakarta. Paul managed to find a spot on the hill above the track. I followed him, where it turned out that the view is great. 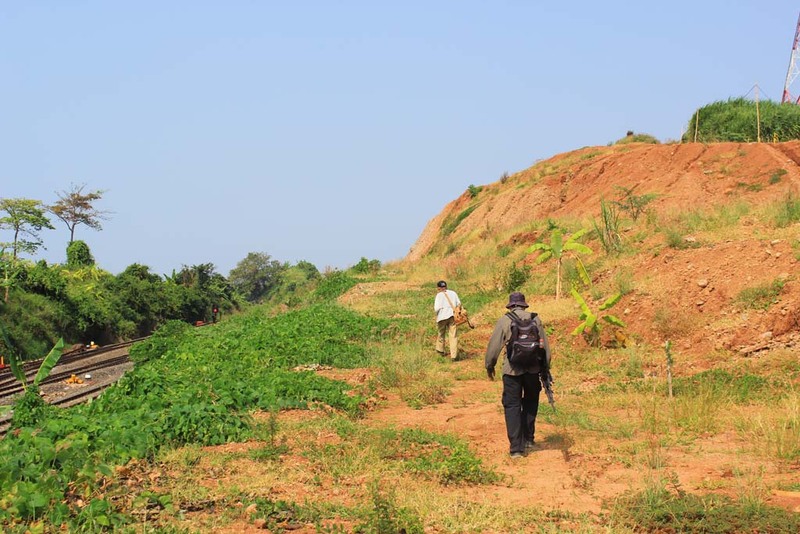 Everyone followed us, and did some survey to find the great place. Note, Geoff is seen wearing my hat, as his hat at that time was hidden somewhere in my car. We didn’t stay long on the hill, before we returned back to track level. Paul and Hayden went to the village near the station to buy some coffee. Geoff and I explored the remain of the old alignment, which was abandoned when the new double track line completed in early 2014. Geoff went further while I stayed in a spot near the beach, as the blazing heat seemed to affect myself. 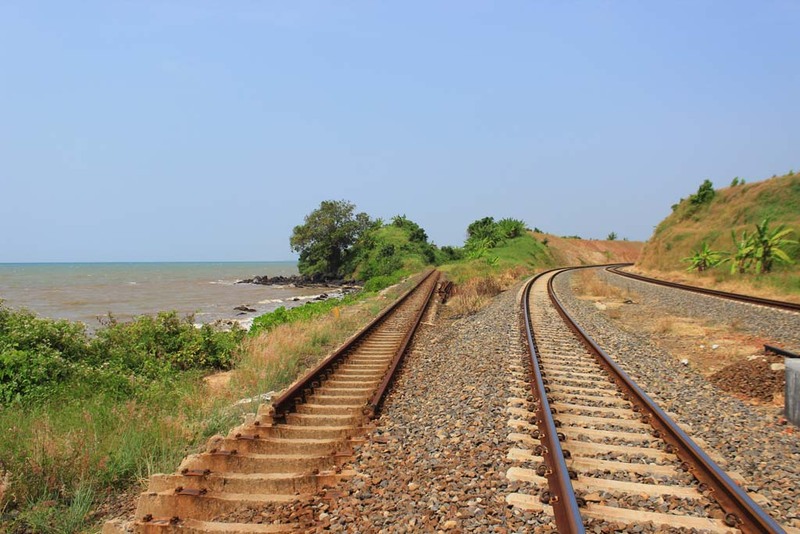 It’s hard to believe that the old alignment which hugged the coastline (unlike the new which bypassed hills to make straighter track) have been abandoned. I did travel on this old alignment for several times. 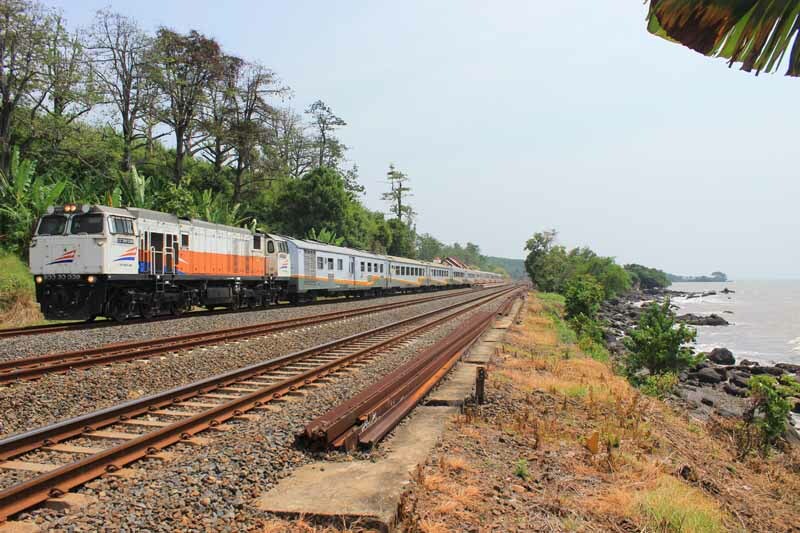 Twice in broad daylight, in 1998 when I traveled with daylight Argo Bromo Anggrek express train from Jakarta, and in 2007 when I traveled with Kaligung express train from Semarang to Tegal. We returned back to the station area to relax. I went to the small coffee shop where Paul and Hayden had coffee earlier. I had a small chat with the owner. She said that the station regularly visited by railfans. 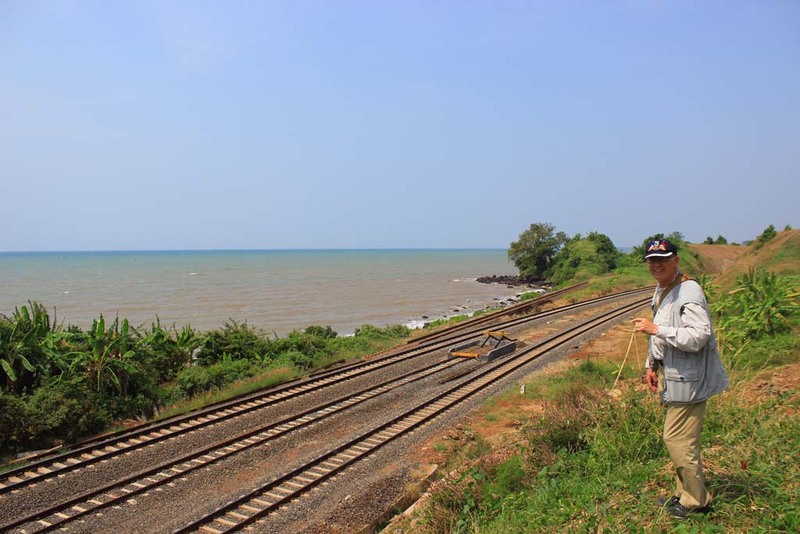 But mostly local railfans, and this is the first time that she saw foreigners visiting the area. 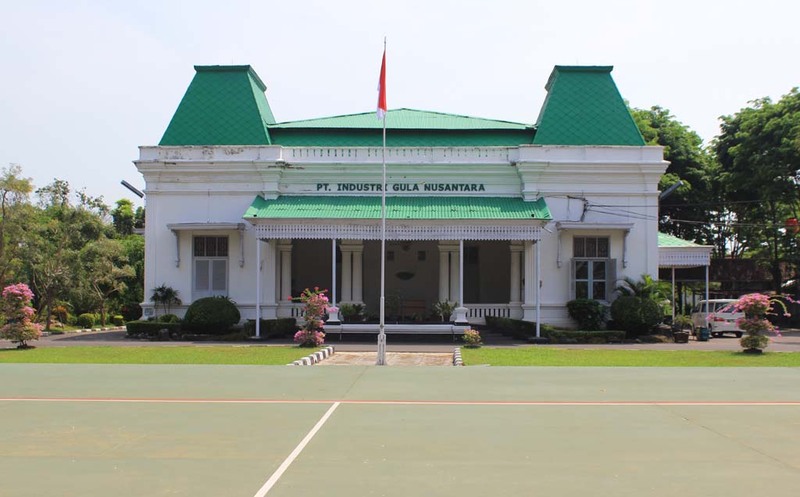 She also said that back in the old days the climate in Plabuan was cooler when the forest around the station and village was still in pristine condition. 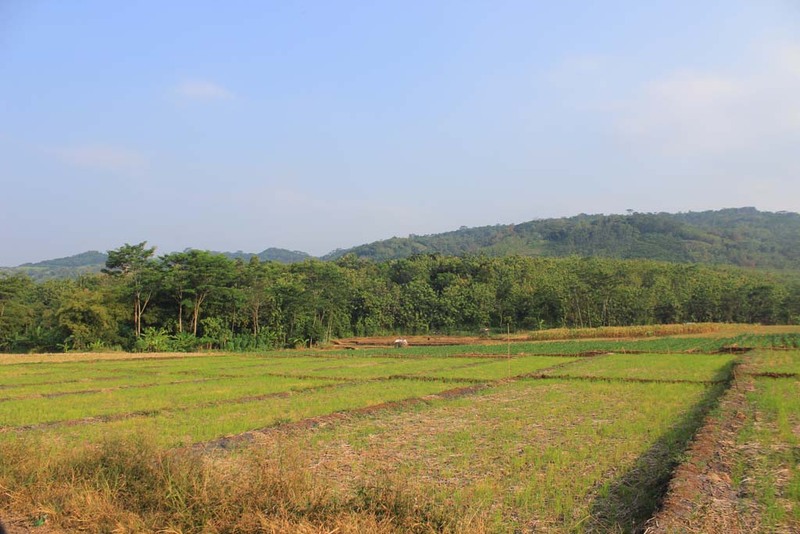 But in the past couple of years, the forest were cut down and replaced by sugarcane plantation, making the weather hotter than what it was. 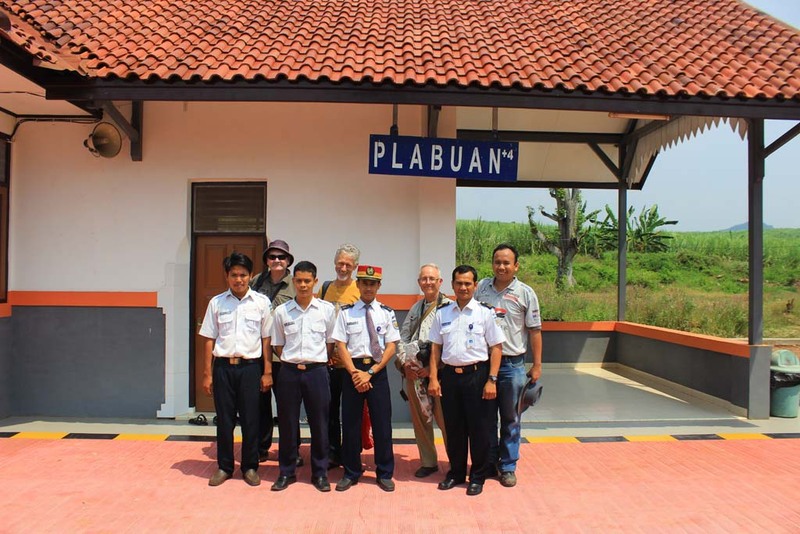 Paul, who has a basic knowledge of Indonesian language, spends the spare time by socializing with local people as well as the station crew. They local people were so happy that they can socialize with him. Moments later, there was a train approaching the station from the west. This time it is stopping at the station. 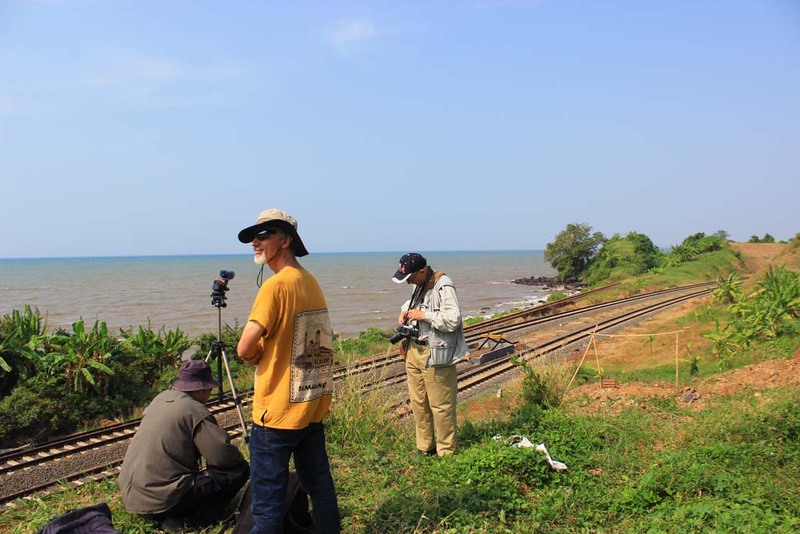 We prepare ourselves to photograph the train. 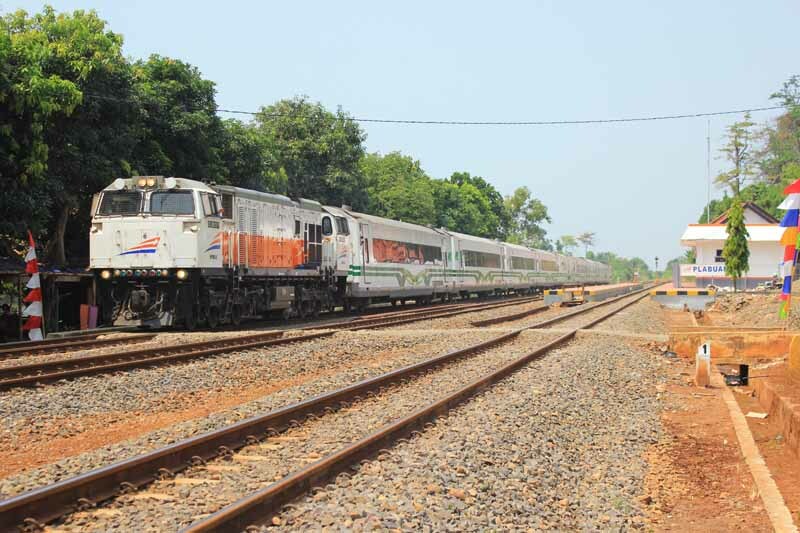 Apparently there is one economic class train from the west that make regular stop at Plabuan station. 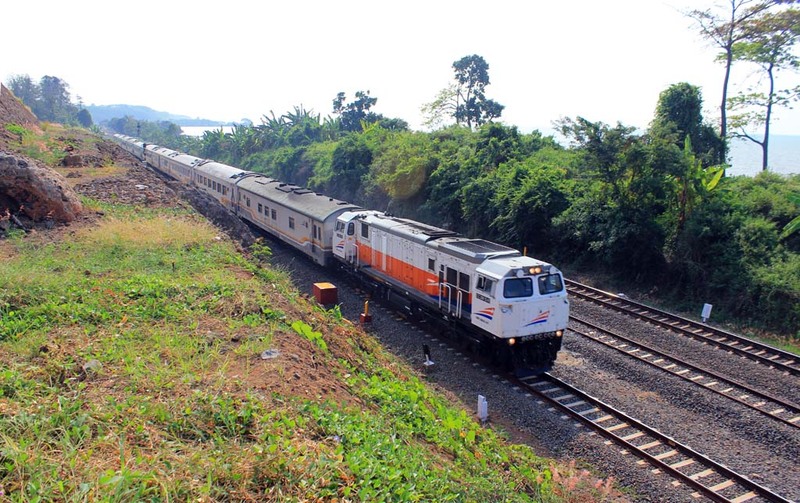 There were no passengers who embark or disembark the train this time, and soon the train was ready for departure to Semarang. But I was quite surprised by how smart the conductor’s attire is. Back in the old days, economic class train conductors didn’t look this smart. 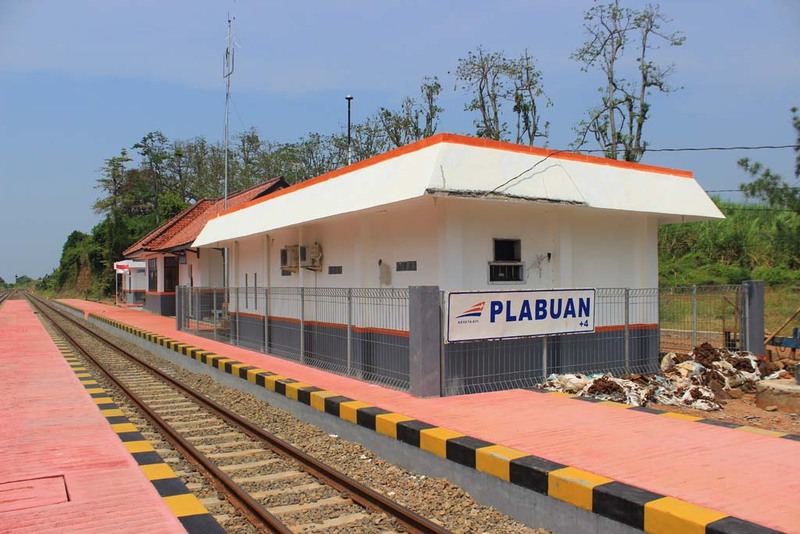 I was told by the station master that during the weekend or public holiday, there would be some passengers disembark or embarking at Plabuan. Just after the train departed, we return back to our hill top spot. We waited for some time for the train to pass through. 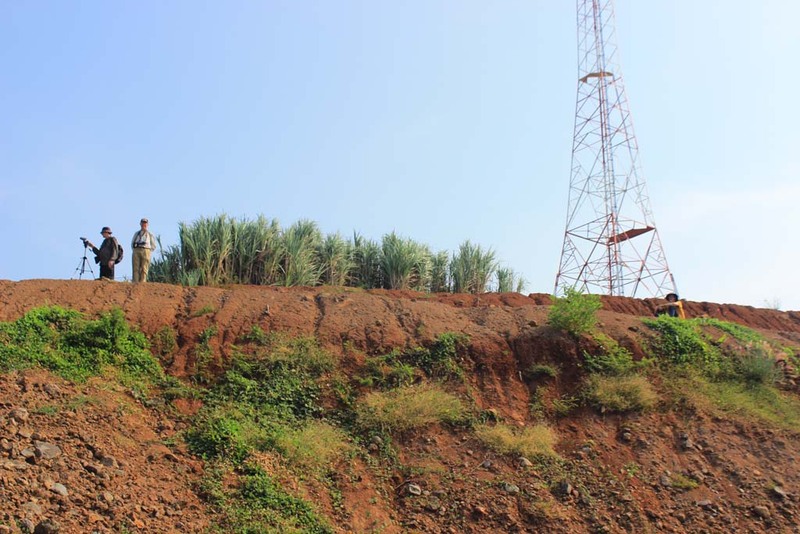 After one train passed, Paul found one spot on the top of the hill, where he said it has better view. So everyone except me went up there. 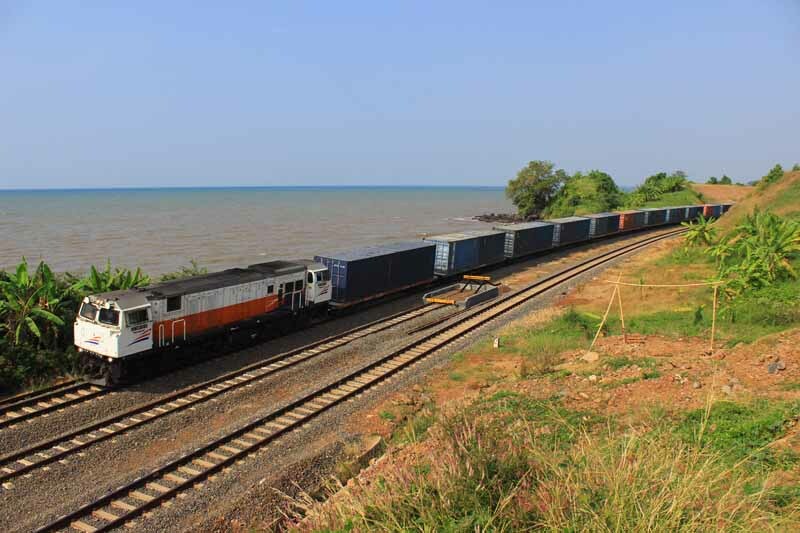 There were several trains that we saw, including this one container train from Surabaya. 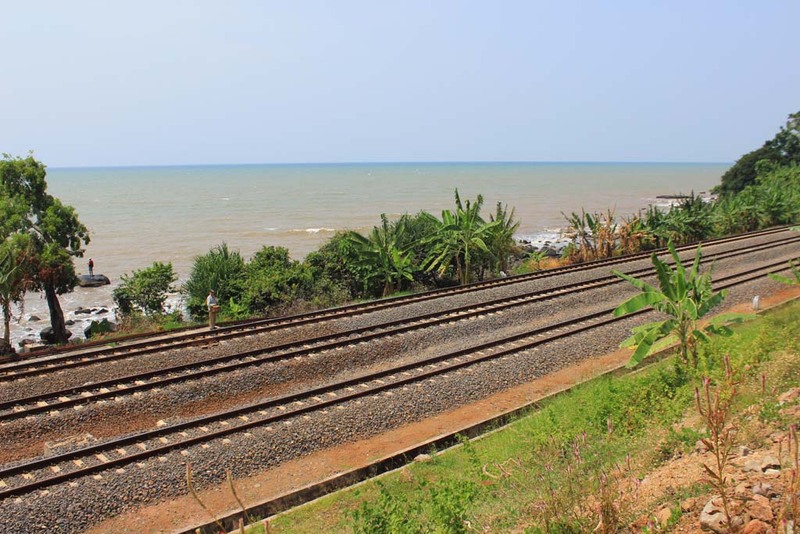 This express train was beyond expectation; it suddenly came from the westerly direction. And the last train that we photographed from the hill was this train of empty flatcars. Soon, we bade farewell to the station crews, returned back to our car, before resuming our journey. 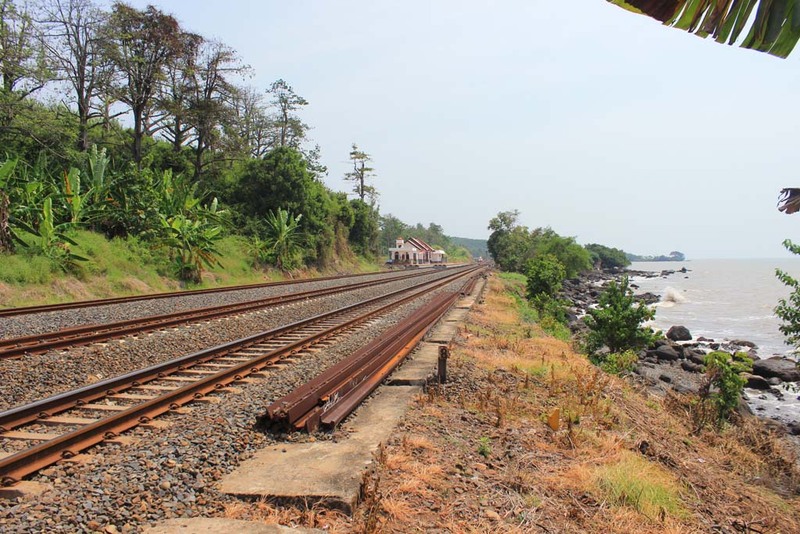 I have to say that the access road to Plabuan station has beautiful vistas. 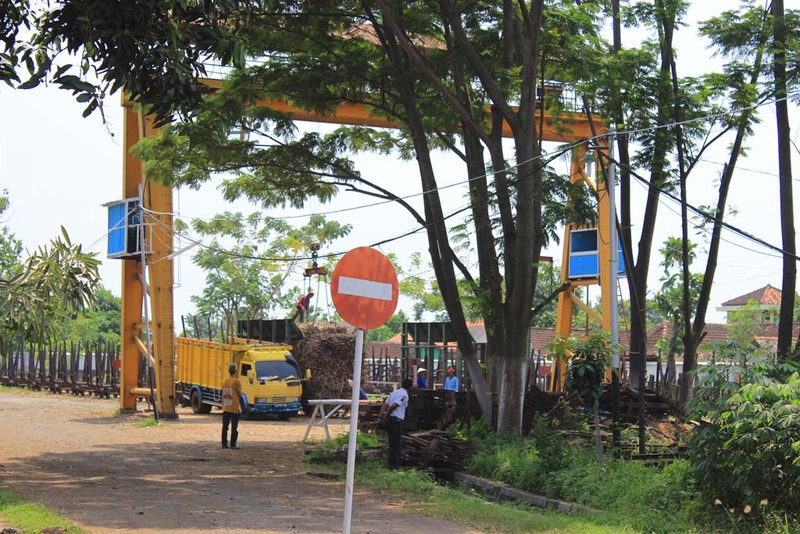 The trip to Pemalang was not without its shares of trouble. As we returned back to the main road, I was really puzzled by the road sign on the main highway at Alas Roban area. I was supposed to go through a straighter route, but due to diminutive road sign, I overlooked it and eventually took the old (and twisty) Alas Roban route by mistake. 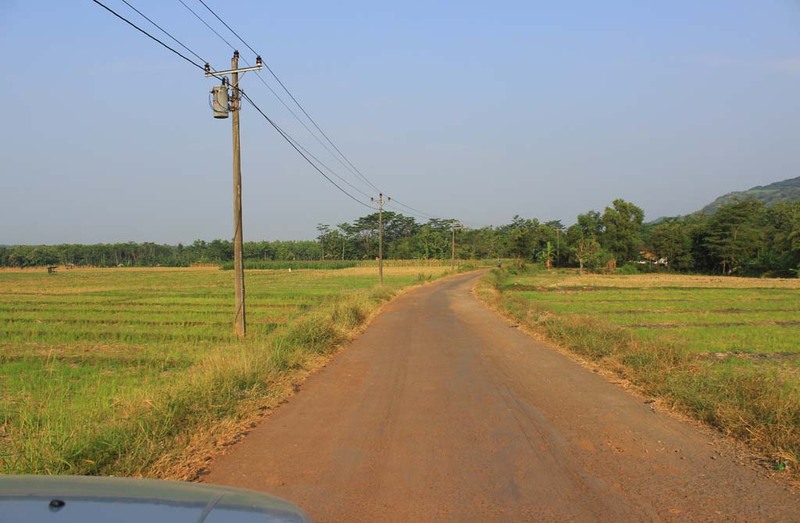 This route reminds me of driving around Bandung, especially near Tangkuban Perahu Mountain. There are some heavy trucks struggled on the route, but thankfully the lack of traffic allowed me to overtake them with ease. I have to admit, the North Coast highway really allowed me to drive at 80 km/hour in sustainable manner, like in a toll way. But once in a while, I would come across traffic jam. One of them was ridiculously caused by small parade, which actually didn’t block the highway, but some foolish drivers just slowing down to see it! But the worst of all had to be in Comal, where the highway bridge partly collapsed, reducing the lane from four to just one. We did encountered long line up, as soon as we approached Comal. But upon looking at the map, I did see that there is an alternative road. 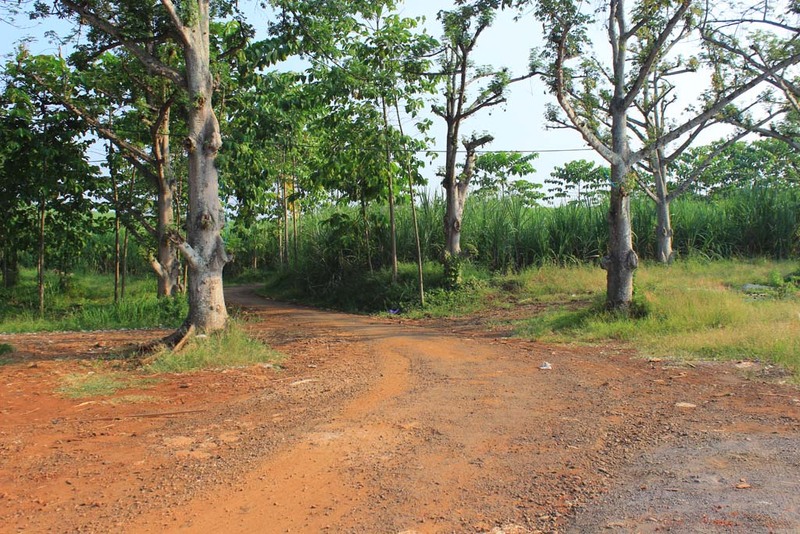 So I decided to give it a go, only to learn that the so-called alternative road turned out to be a very narrow bridge which is only passable by motorcycle. 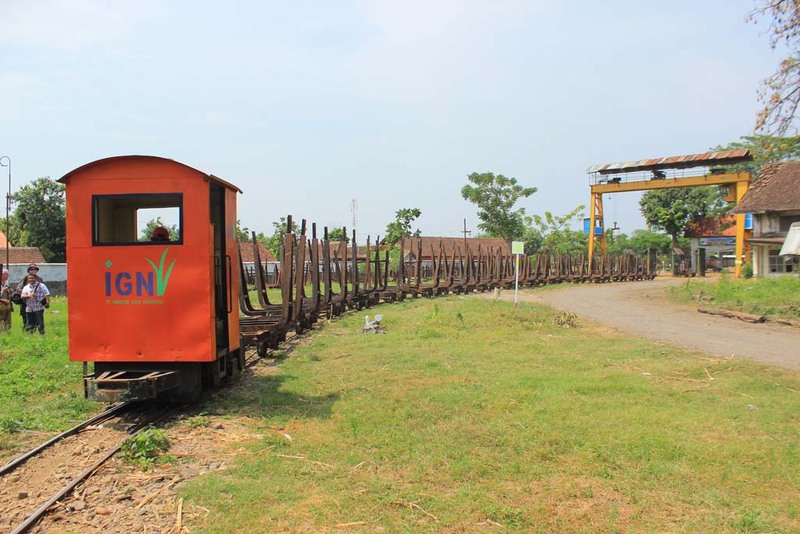 The bridge itself was a former narrow gauge railway bridge owned by Sragi sugar mill. So I had no choice but to return back to the lineup, and fought my way through. 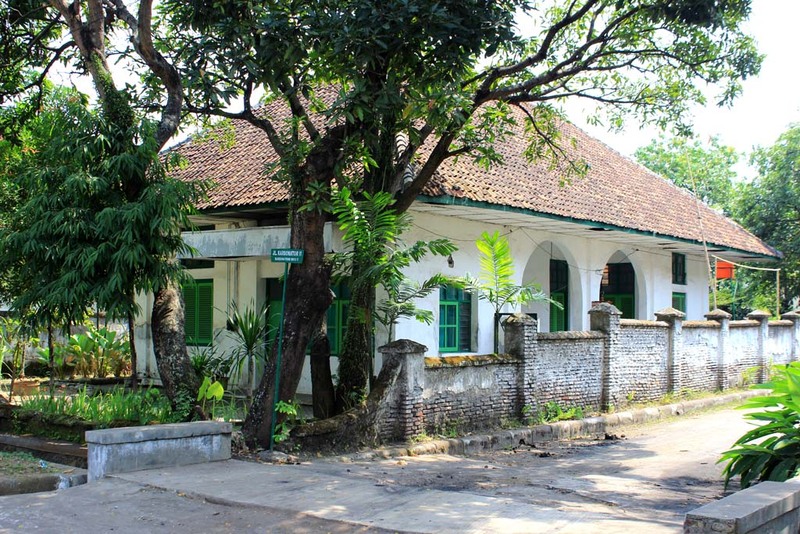 After passing through the Comal Bridge, the traffic was quieter and I had no trouble reaching the town of Pemalang. 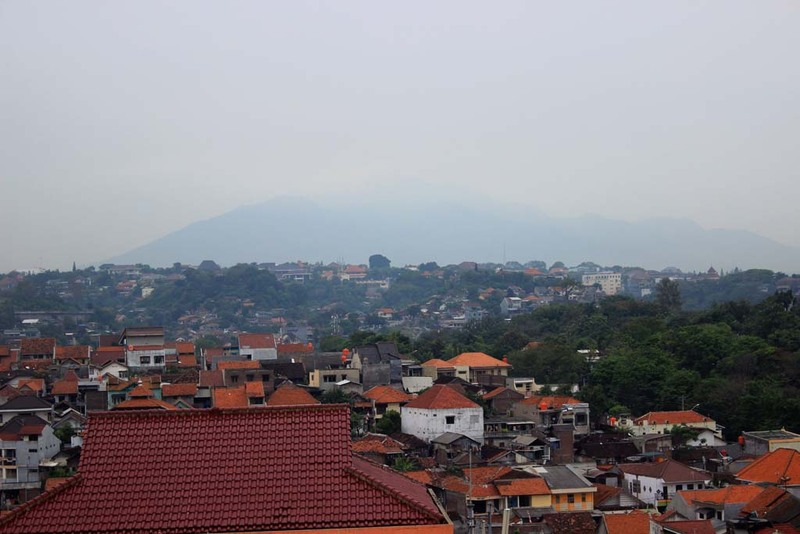 The town of Pemalang does remind me of small town in West Java: a small but rather disorganized town. They even have Yogya Supermarket chain store in the town! 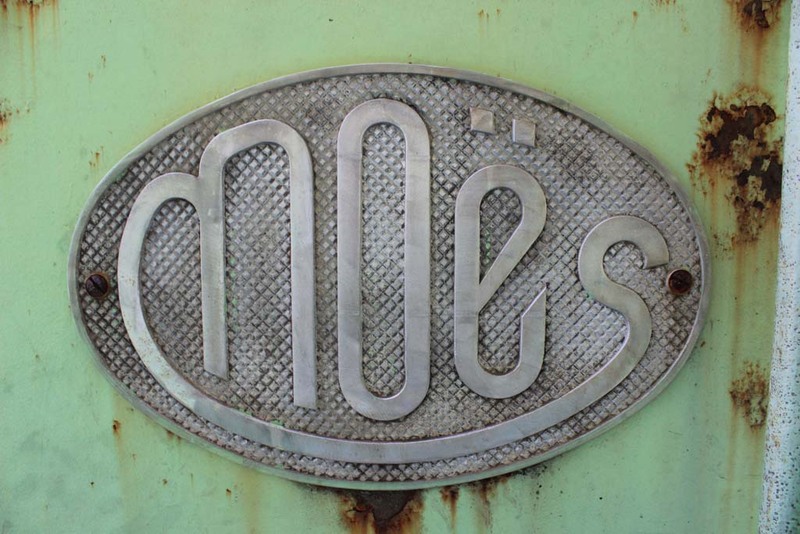 This supermarket chain has strong basis in West Java, but rarely seen outside there. We checked in into our hotel, where we unload most of our belongings in here. We stayed in this hotel for 5 nights, so it will be like our home for the next couple of days. We entered our rooms, and to my surprise it is not as luxurious as in the internet pictures. 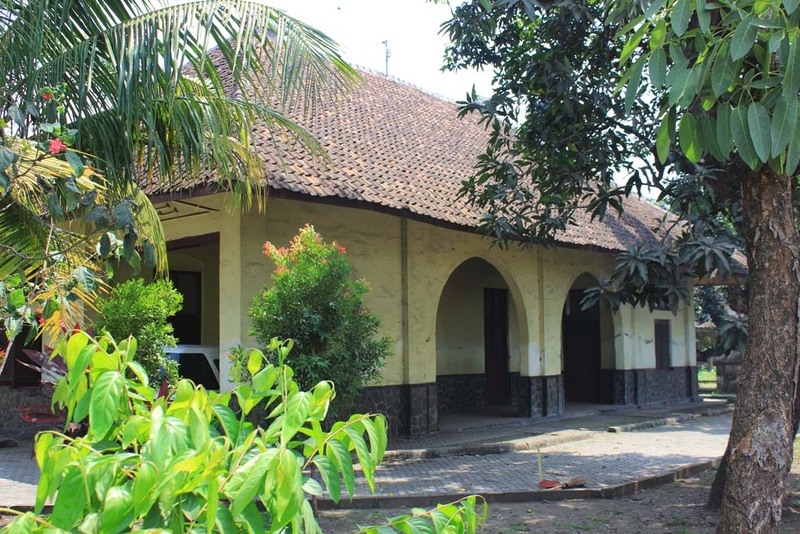 It doesn’t have cable TV connection, it has no minibar fridge, and it does have internet connection, but rather a weak one. 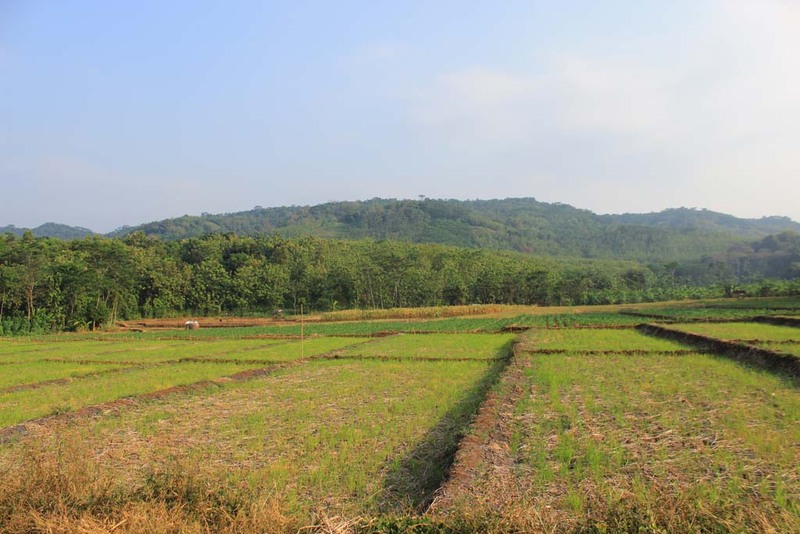 After settling all of our belongings and having shower, we went out to see where we can get a meal around here. I always curious about local fare, so I tried a local cuisine called “Nasi Grombyang” which is sold near a level crossing. 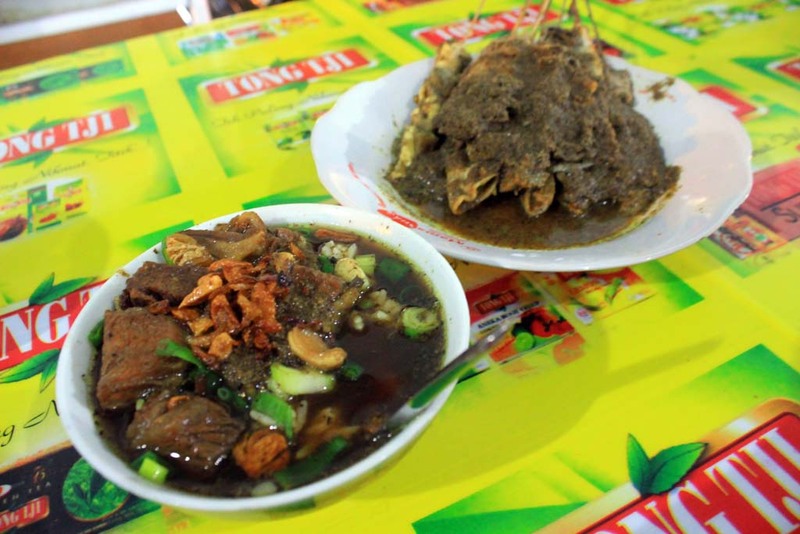 It is a dark colored soup served with rice, and accompanied by satay made from beef offal. It tasted quite nice. Paul and Hayden, whom are observant of vegetarianism, ate at a food stall nearby. After we finished our meal and paid the bill, we went to the level crossing near the restaurant where we watched train passes at the level crossing. Soon after we returned back to our hotel to have a rest. Interesting blog. 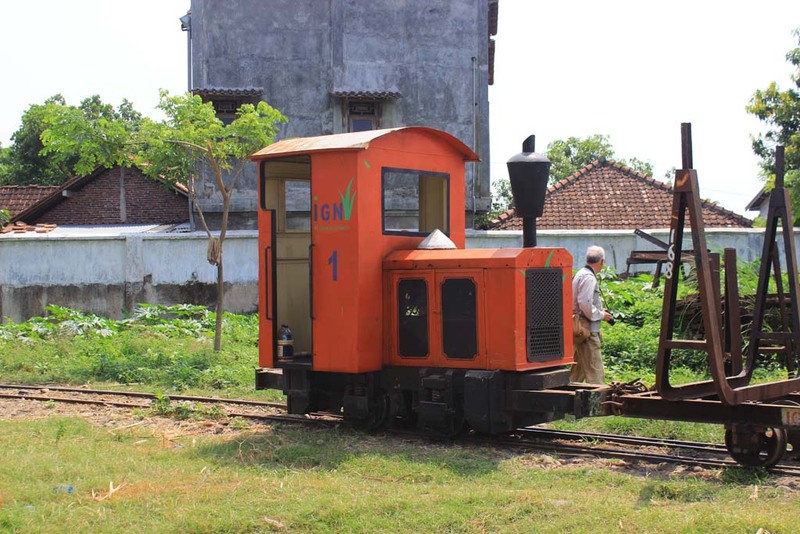 The diesel at Cepiring was the old D2 Orenstein & Koppel 11053 built in 1939 model .MD2. The cab has been rebuilt and it has a new funnel. It was a diesel mechanical probably with a Deutz engine. 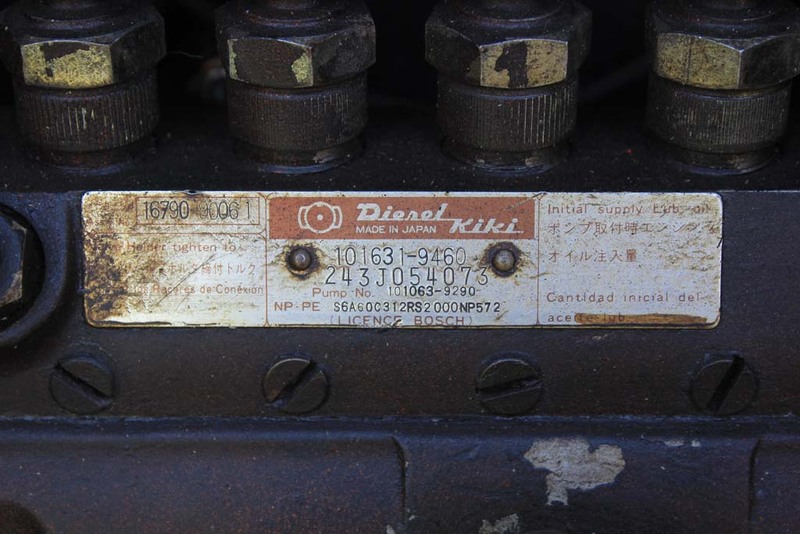 The name plate on the new engine mentions a pump, so maybe now it is diesel hydraulic. There should have been one more diesel there, a Brookville 4w.DM, it was preserved with the steam locos a few years ago. Thank you for your explanation. 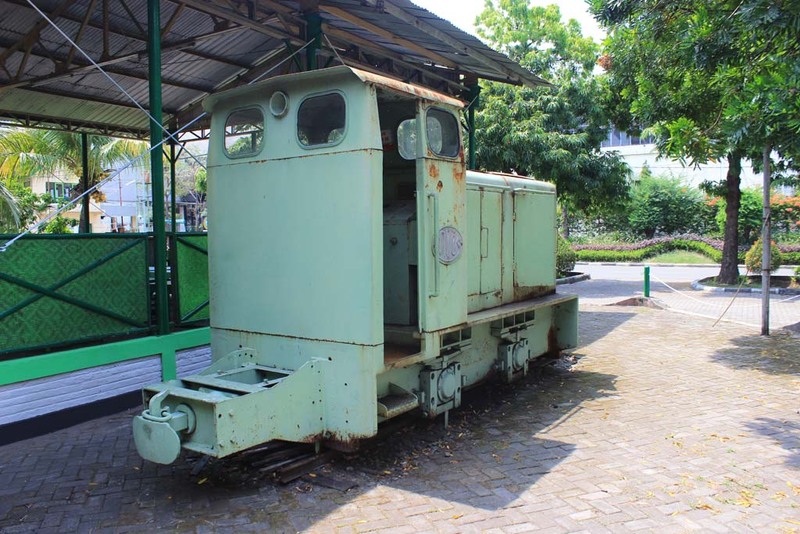 Now I understand the origin of Cepiring’s diesel shunter. 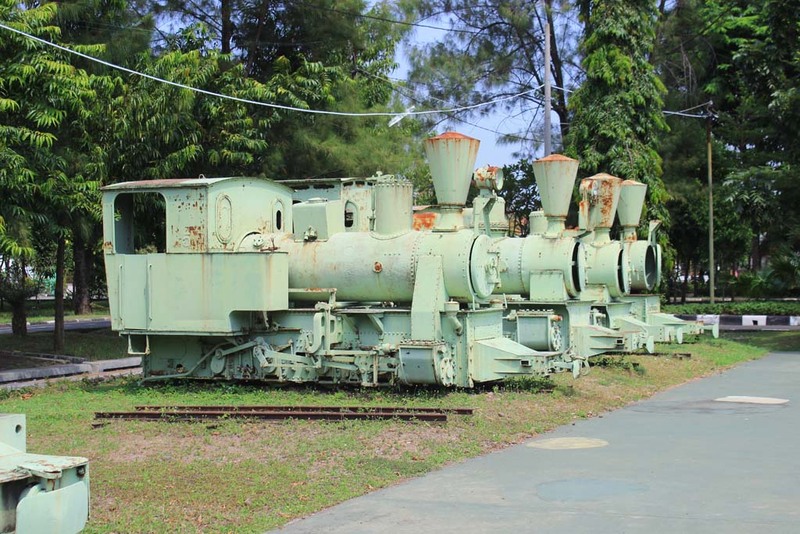 I was told that in the future there will be another locomotive revived at Cepiring.